New York officials in the city want to limit the number of ride-hailing services available in a strong move to try better managing and reducing the concerns, congestion, and pollution woes created by drivers who don’t even make much money, The New York Times reports. Action by the City Council would make New York the first major American city to put limits on ride-sharing vehicles, a concept not foreign to some other countries, even as the ride-sharing companies quickly changed the transportation landscape in cities across the world. Mayor Bill de Blasio didn’t endorse the proposal but did talk about the need to take a look industry and properly regulate it. City Council speaker, Corey Johnson, backs the proposal, which put a stop to new for-hire vehicle licenses being issued right now, except for vehicles that are wheelchair accessible, while the city conducts a yearlong study of the industry, a moratorium more or less. The City Council isn’t just trying to cap the number of vehicles these companies can have operating in the city. Its members will consider a few pieces of legislation that would set up rules for how minimum payments to drivers work, which would also be a first for an American city. When business is slow, at present, a driver for one of these companies may make next to no money, and when costs associated with driving are factored in, a driver could actually lose money if business is slow enough. The City Council could vote on the measures as soon as Aug. 8, according to The New York Times. 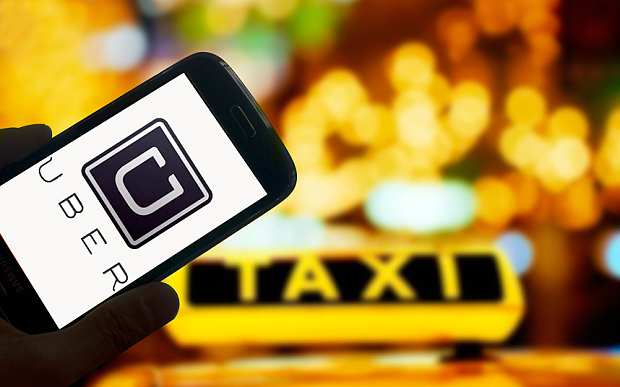 Johnson, a Democrat who became City Council speaker in January, said something definitely needed to be done about the disruption to the taxi and for-hire vehicle industry caused by the relatively sudden and unregulated influx of ride shares. Uber may take on the city legally for a second time. It signaled that possibility when it spoke out against the City Council proposals, arguing that the legislation would hurt customers, especially those who live in the boroughs outside Manhattan, an area that’s become lucrative in part because of the lack of good transportation options in some outerborough areas. Money could instead be invested in improving and adding affordable mass transit service to underserved transportation deserts, but that’s not an argument companies like Uber want to hear. “The City Council’s Uber cap will leave New Yorkers stranded while doing nothing to prevent congestion, fix the subways and help struggling taxi medallion owners,” Josh Gold, a spokesman for Uber said. “The Council’s cap will hurt riders outside Manhattan who have come to rely on Uber because their communities have long been ignored by yellow taxis and do not have reliable access to public transit,” he added.